Vote Date: September 13, 2000 Vote: NAY Bad Vote. Marriage Penalty Repeal -- Veto Override. This tax-cut measure is identical to that described in House vote (below), except that it is the vote to override President Clinton's veto of the bill. The House failed to override the president's veto of H.R. 4810 on September 13, 2000 by a vote of 270-158 (Roll Call 466). A two-thirds majority of representatives (286 in this case) and senators present and voting is required to override a presidential veto. We have assigned pluses to the yeas. Vote Date: July 27, 2000 Vote: NAY Bad Vote. Social Security Earnings Tax Hike Repeal. This bill, H.R. 4865, would repeal the 1993 Clinton-Gore tax increase on Social Security benefits. Under the provisions of the 1993 law, seniors still in the work force making more than $34,000 per year had income taxes assessed against 85 percent of their Social Security checks, up from 50 percent in years prior. This bill would bring the proportion of benefits taxed back down to 50 percent. The House passed H.R. 4865 on July 27, 2000 by a vote of 265-159 (Roll Call 450). We have assigned pluses to the yeas. Vote Date: July 26, 2000 Vote: NAY Bad Vote. Disapproval of Normal Trade Relations for Vietnam. This resolution would formally disapprove of the president's decision to grant Communist Vietnam "Normal Trade Relations" (NTR) status and revoke NTR. It is wrong to grant NTR status to Communist Vietnam for the same reasons that it is wrong to grant NTR status to Communist China. "[W]e should put our foot down here today and say dictatorships should not receive this kind of subsidy, especially the dictatorship in Vietnam that has not cooperated in finding our missing in action and POWs," Representative Dana Rohrabacher (R-CA) argued from the House floor. The House rejected the NTR disapproval measure, House Joint Resolution 99, on July 26, 2000 by a vote of 91-332 (Roll Call 441). We have assigned pluses to the yeas. Vote Date: July 20, 2000 Vote: NAY Bad Vote. Marriage Penalty Repeal. This measure would phase out over five years the marriage penalty in the income tax code. The marriage penalty taxes dual-income married families at a higher rate than couples who live together but are not married. Representative Jerry Weller (R-IL) explained that this vote was about "a very basic, fundamental question," namely: "Is it right that 25 million married working couples, 50 million taxpayers, pay on average $1,400 more in higher taxes just because they are married?" The House adopted the final version of this legislation (the conference report on H.R. 4810) on July 20, 2000 by a vote of 271-156 (Roll Call 418). We have assigned pluses to the yeas. Prohibit BATF from Implementing the Smith & Wesson Gun Sellout. Representative John Hostettler (R-IN) introduced this amendment to "prohibit the Department of Treasury and specifically the Bureau of Alcohol, Tobacco and Firearms, or BATF, from using tax-payer dollars to enforce the provisions of a settlement agreement between Smith & Wesson, the Treasury Department and the Department of Housing and Urban Development." Hostettler explained that his amendment to the fiscal 2001 Treasury and Postal appropriations bill was needed because "the BATF will no longer just enforce Federal laws; they will now enforce a private civil agreement. This greatly expands the BATF's scope of power without Congress's approval. Failure to pass this amendment will allow the executive branch to continue to coerce legal industries, in this particular case the gun industry, to enter into these agreements whenever they feel they cannot get their agenda through Congress." The House rejected the Hostettler amendment to H.R. 4871 on July 20, 2000 by a vote of 204-214 (Roll Call 427). We have assigned pluses to the yeas. Vote Date: July 18, 2000 Vote: NAY Bad Vote. China NTR Disapproval. This resolution would formally disapprove of the president's decision to grant Communist China "Normal Trade Relations" (NTR) status and revoke NTR. Representative Dana Rohrabacher (R-CA) explained that "the reason why the American corporate community is insisting on normal trade relations status, which is a specific status, is so that those corporations can receive taxpayer subsidies and loan guarantees so they can close up their factories in the United States and open up factories in China to exploit a near slave labor, where people are not permitted to join unions, and do so at the taxpayers' risk, U.S. taxpayers' risk." The House rejected this measure, House Joint Resolution 103, on July 18, 2000 by a vote of 147-281 (Roll Call 405). We have assigned pluses to the yeas. Vote Date: July 13, 2000 Vote: NAY Good Vote. Fiscal 2001 Foreign Aid Giveaways. This bill would waste $13.3 billion for international giveaways and export subsidies. Although the bill represents a $451 million cut from fiscal 2000, one dime in foreign aid is one dime too much. The House passed the foreign aid appropriations bill, H.R. 4811, on July 13, 2000 by a vote of 239-185 (Roll Call 400). We have assigned pluses to the nays. Vote Date: July 11, 2000 Vote: NAY Good Vote. Fiscal 2001 Agricultural Appropriations. This massive $75.4 billion bill would fund federal agricultural subsidy programs -- as well as the federal Food Stamp program, the U.S. Food and Drug Administration, and several other programs -- throughout fiscal 2001. Although this bill represents about a 10 percent cut from fiscal 2000, none of the programs funded by this bill are authorized by the U.S. Constitution. The House passed this bill, H.R. 4461, on July 11, 2000 by a vote of 339-82 (Roll Call 385). We have assigned pluses to the nays. Vote Date: July 10, 2000 Vote: NAY Bad Vote. Ban on FDA Approval of Abortion Pill. "What this amendment would do," explained Representative Tom Coburn (R-OK), the amendment's author, "is it would limit the expenditure of Federal funds by the Food and Drug Administration in their efforts to approve drugs whose sole purpose is to terminate life, to take the life of an unborn child." More specifically, the amendment would prohibit the U.S. Food and Drug Administration from using funds in the underlying fiscal 2001 agricultural appropriations bill to test or approve for use the abortion pill RU-486, also known as mifepristone. The House rejected the Coburn amendment to H.R. 4461 on July 10, 2000 by a vote of 182-187 (Roll Call 373). We have assigned pluses to the yeas. Vote Date: June 30, 2000 Vote: NAY Bad Vote. Unionizing Doctors Into a Closed Shop. Representative Christopher Cox (R-CA) introduced this amendment to prohibit doctors from being required to become members of unions as a condition of employment with Health Maintenance Organizations (HMOs). Without this amendment, the underlying bill would establish federal "collective bargaining rights" for doctors with HMOs, and allow doctors to organize unions for collective bargaining purposes. Cox explained that his amendment was necessary to "protect doctors from ... compulsory unionism...."
The Cox amendment to H.R. 1304 was rejected by the House on June 30, 2000 by a vote of 201-214 (Roll Call 369). We have assigned pluses to the yeas. Vote Date: June 26, 2000 Vote: AYE Good Vote. Prohibit Chinese Propaganda Ministry Land Purchase Overlooking Pentagon. Representative David Vitter (R-LA) offered this amendment to prohibit State Department funds in the fiscal 2001 Commerce, Justice, and State appropriations bill from being used to approve the purchase of land overlooking the Pentagon by the Chinese government's Xinhua News Agency. Vitter explained that in "a number of publicized spy scandals intelligence officers used Xinhua to provide operations cover...." According to Vitter, allowing the Chinese government through its Xinhua propaganda agency to occupy the "Pentagon Ridge Apartments will allow Chinese intelligence operatives to gather information using a variety of means. These include direct observation via telescope of documents being viewed in outside offices, the collection of electronic impulses emanated by computer screens in the building and the use of laser microphones to eavesdrop on conversations." The House adopted the Vitter amendment to H.R. 4690 on June 26, 2000 by a vote of 367-34 (Roll Call 325). We have assigned pluses to the yeas. Vote Date: June 21, 2000 Vote: NAY Bad Vote. Prohibit HUD from Implementing the Smith & Wesson Gun Sellout. Representative John Hostettler (R-IN) offered this amendment to block the unconstitutional assault by the Clinton administration's Department of Housing and Urban Development (HUD) on the right to keep and bear arms. HUD's March 2000 agreement with firearms manufacturer Smith & Wesson would give federal preferences to firearms manufacturers who back Clinton administration gun control measures, and infringes upon the Second Amendment as well as upon Congress' exclusive authority to pass legislation under the U.S. Constitution. Representative Hostettler argued for the adoption of his amendment because "we should not allow HUD to legislate through litigation." The Hostettler amendment was rejected by the House on June 21, 2000 by a vote of 206-219 (Roll Call 308). We have assigned pluses to the yeas. WTO Withdrawal. Representative Ron Paul (R-TX) offered this resolution to withdraw the United States from the World Trade Organization. Paul explained that U.S. membership in the WTO "is an unconstitutional approach to managing trade. We cannot transfer the power to manage trade from the Congress to anyone. The Constitution is explicit. 'Congress shall have the power to regulate foreign commerce.' We cannot transfer that authority. Transferring that authority to the WTO is like the President transferring his authority as Commander in Chief to the Speaker of the House." The House rejected Paul's House Joint Resolution 90 on June 21, 2000 by a vote of 56-363 (Roll Call 310). We have assigned pluses to the yeas. Vote Date: June 15, 2000 Vote: NAY Bad Vote. Ban New National Monuments. This amendment by Representative James Hansen (R-UT) would ban the use of funds for the implementation of "National Monuments" designated by the president since 1999. President Clinton has used a loophole in the 1906 Antiquities Act to lock up millions of acres of land from human usage. Representative Don Young (R-AK) explained that "this President is using this act ... to designate and to dictate the use of lands. Under the Constitution, it says only the Congress shall have that responsibility.... I swore to uphold the Constitution of the United States of America. Yet, we sit in this body and allow this act to be misused by this administration and say, oh, it is to protect those lands.... This is against the Constitution. He is not protecting what should be protected. He, in fact, is running this as a fiefdom and a kingdom." The House rejected the Hansen amendment to H.R. 4578 on June 15, 2000 by a vote of 187-234 (Roll Call 280). We have assigned pluses to the yeas. Vote Date: June 14, 2000 Vote: NAY Good Vote. Welfare State Mother Lode. This colossal $351.8 billion fiscal 2001 Labor/HHS/Education appropriations bill represents a spending increase of more than seven percent over fiscal 2000. Representative David Obey (D-WI) crowed that Republicans and Democrats were in a bidding war for welfare state spending: "This is ironic given the fact that all day long we were told by the majority that we could not get a vote on the amendments that we were offering on our side of the aisle because they exceeded the numbers in the budget resolution?" The House passed H.R. 4577 on June 14, 2000 by a vote of 217-214 (Roll Call 273). We have assigned pluses to the nays. Vote Date: June 13, 2000 Vote: NAY Bad Vote. Decrease Growth in Welfare Spending. This amendment by Representative C.W. Bill Young (R-FL) would cut discretionary spending in the mammoth $351.8 billion fiscal 2001 Labor/HHS/Education appropriations bill by $500 million. With such a cut, total spending in this bill would still rise by over $23 billion as compared to fiscal 2000. The House rejected the Young amendment on June 13, 2000 by a vote of 186-236 (Roll Call 269). We have assigned pluses to the yeas. Vote Date: June 9, 2000 Vote: NAY Bad Vote. Estate Tax Repeal. The "Death Tax Elimination Act" would phase out over 10 years the Marxist inheritance tax that is decimating family farms across the United States. While the federal inheritance tax does not go as far as the third plank in Marx's Communist Manifesto, which called for "abolition of all rights of inheritance," it does tax up to 60 percent of the value of inheritances. The House passed the bill on June 9, 2000 by a vote of 279-136 (Roll Call 254). We have assigned pluses to the yeas. Vote Date: June 8, 2000 Vote: AYE Bad Vote. Federal Regulations on Ergonomics. This amendment by Representative James Traficant (D-OH) would strike language in the labor appropriations measure that would ban funding for the promulgation of federal ergonomic regulations by the Occupational Safety and Health Administration. OSHA has pushed for intrusive and vague federal regulations on ergonomics in recent years, using as a pretext the charge that many workers suffer injuries as a result of repetitive motion and other uncomfortable work conditions. Representative Henry Bonilla (R-TX) explained that the drive for ergonomics regulations was not driven by workers themselves, but by "OSHA bureaucrats and power-hungry union leaders who are trying desperately to implement an ergonomics rule that would put a noose around the neck of many employers in this country." The Traficant amendment to H.R. 4577 was rejected by the House on June 8, 2000 by a vote of 203-220 (Roll Call 250). We have assigned pluses to the nays. Vote Date: May 24, 2000 Vote: AYE Bad Vote. Permanent Normal Trade Relations for China. This bill would confer Permanent Normal Trade Relations (PNTR) status on China and end the annual review process that kept attention on Red China's espionage and human rights abuses. Although China has yet to comply completely with any trade agreement, granting PNTR would clear the way for China's entry into the WTO. Although this bill contains some provisions to protect U.S. businesses from import surges, establishes a commission to monitor human rights, and requires the administration to report annually on China's compliance with trade agreements, none of these measures has the teeth that annual review of Normal Trade Relations has had. Representative James Traficant (D-OH) was correct when he said on the House floor during debate, "I say a Congress that today will prop up Communism is a Congress that today endangers every worker, every one of our kids, and every one of our grandkids by giving a country $80 billion a year whose missiles are pointed at every major American city, and Taiwan, who we have turned our backs on." Permanent Normal Trade Relations for China, H.R. 4444, passed the House on May 24, 2000 by a vote of 237-197 (Roll Call 228). We have assigned pluses to the nays. Vote Date: May 23, 2000 Vote: NONE No Vote. Disclose Intelligence Spending to Congress. Representative Tim Roemer (D-IN) offered this amendment to require the CIA director to submit an unclassified report every year to Congress on total spending on intelligence operations. Roemer explained that his amendment was moderate in that it did not require "individual reports, not individual line items, like we do in the Defense Department budget.... We are not calling for any of that in this budget; simply for an aggregate level." In recent years, CIA directors have revealed the figure to be $27 to $28 billion. The House rejected the Roemer amendment to H.R. 4392 on May 23, 2000 by a vote of 175-225 (Roll Call 214). We have assigned pluses to the yeas. Vote Date: May 18, 2000 Vote: AYE Bad Vote. Vieques Island Transfer. Ike Skelton (D-MO) offered this amendment supporting the agreement negotiated with Puerto Rico by President Clinton regarding ownership of Vieques Island. The Skelton amendment would allow the Navy to transfer land on the western end of the island of Vieques to Puerto Rico and would provide $40 million in assistance to the Puerto Rican government. The residents of Vieques would hold a referendum within the next two years to determine if the Navy may remain on the eastern end of the island, where the Navy conducts live ammunition training. If the people of Vieques vote the Navy out, the Navy would be required to vacate by May 2003. If permitted to stay, the federal government would provide an additional $50 million in assistance. Originally, the push to get the U.S. Navy off of Vieques came from Puerto Rican FALN terrorists, their Cuban sponsors, and other radicals of the extreme left who seek to subvert America. If the Navy can no longer conduct live fire exercises on Vieques, there are no other alternatives on the East Coast for amphibious live fire exercises. Also troubling would be the dangerous precedent of allowing people near the 33 major U.S. live-fire sites to determine by referendum how the military trains. The Skelton amendment to H.R. 4205 allowing this transfer and future referendum was passed by the House on May 18, 2000 by a vote of 218-201 (Roll Call 202). We have assigned pluses to the nays. Abortions on Military Bases. This amendment to the fiscal 2001 Defense authorization bill offered by Representative Loretta Sanchez (D-CA) would permit abortions on military bases for service members and their dependents stationed abroad. Under the amendment, those seeking abortions on bases would have to use -private funds to pay for the procedure. Yet, as Representative Henry Hyde (R-IL) pointed out in floor debate, "Taxpayers' funds are expended when military facilities are used and there is no constitutional right to that...."
The Sanchez amendment to H.R. 4205 was rejected by the House on May 18, 2000 by a vote of 195-221 (Roll Call 203). We have assigned pluses to the nays. Vote Date: May 16, 2000 Vote: AYE Bad Vote. Automatic Funding of the Welfare State. Representative George Gekas (R-PA) offered this dangerous amendment to automatically renew funding for any of the regular 13 appropriations bills at the previous year's spending level if they are not en-acted into law by the new fiscal year. According to Representative Jim Walsh (R-NY), under the amendment, Congress would "yield more power to the President by putting the government out on automatic pilot." Amendment supporter Representative Dana Rohrabacher (R-CA) candidly admitted that the amendment signified that "it is time for us to give up" in the battle with the president over government shutdowns. Rohrabacher said that the president's use of government shutdowns amounted to a budgetary "doom's day strategy." Ignoring the fact that it is the constitutional duty of Congress to control federal purse strings, Rohrabacher urged passage of the measure as a way to fight that strategy. "It is time to repeal for all time the threat of a government shutdown," quipped Rohrabacher. The Gekas amendment to H.R. 853 was rejected by the House on May 16, 2000 by a vote of 173-236 (Roll Call 187). We have assigned pluses to the nays. Vote Date: May 11, 2000 Vote: NAY Bad Vote. Landgrabs Prevention. This amendment by Representative Michael Simpson (R-ID) to the land conservation bill would prevent funds from the bill from being used to acquire more federal land in states where 50 percent or more of the land is already owned by the federal government, unless the state approves of the acquisition. The states that presently would be affected by this amendment are Alaska, Oregon, Idaho, Utah, and Nevada. The Simpson amendment to H.R. 701 was rejected on May 11, 2000 by a vote of 157-266 (Roll Call 171). We have assigned pluses to the yeas. Vote Date: May 11, 2000 Vote: AYE Bad Vote. Money for Landgrabs. This bill, the Conservation and Restoration Act (CARA), is, in the words of one of its chief sponsors, Representative George Miller (D-CA), "the largest environmental bill for the conservation of American resources in the past 36 years." The bill would require the Treasury Department to set aside up to $2.8 billion per year in royalties from oil and gas drilling on federal lands in a conservation fund to be used to purchase lands deemed environmentally sensitive and for other conservation purposes. Additionally, the use of the money in the fund would not be subject to annual appropriation votes by Congress. The CARA, H.R. 701, passed the House on May 11, 2000 by a vote of 315-102 (Roll Call 179). We have assigned pluses to the nays. Vote Date: May 10, 2000 Vote: NAY Bad Vote. Defunding Landgrabs. Representative Helen Chenoweth-Hage (R-ID) offered this amendment to the land conservation bill to prohibit funds in the bill from being used to establish or maintain any of President Clinton's national monument designations made after 1995. Mr. Clinton has established a series of these monuments through executive orders, thereby placing, without congressional -approval, huge tracts of land off-limits to development. Chenoweth-Hage called such federal landgrabs "America's new Trail of Tears," a reference to the federal government driving the Cherokee Indians off their land in the early 1800s. The Chenoweth-Hage amendment to H.R. 701 was rejected on May 10, 2000 by a vote of 160-265 (Roll Call 164). We have assigned pluses to the yeas. Vote Date: May 3, 2000 Vote: AYE Bad Vote. Funding for Disabilities Education. Passage of this bill would provide increased funding for education of children with disabilities under the Individuals with Disabilities Education Act. The bill would increase funding to 40 percent of the cost of educating such children and authorize an additional $2 billion a year for 10 years. The bill, H.R. 4055, passed the House on May 3, 2000 by a vote of 421-3 (Roll Call 140). We have assigned pluses to the nays. Vote Date: April 13, 2000 Vote: AYE Good Vote. Tax Code Abolishment. This bill would abolish the tax code, excepting Social Security and Medicare provisions, by December 31, 2004. The bill recommends that Congress provide a replacement tax code by July 4, 2004. Representative John Linder (R-GA), who argued for the abolition of the tax code on the House floor, pointed out: "if we had sat down at the beginning ... and asked ourselves how could we build a tax system that would punish people for earning and working hard, a system that would be obstructive of capital formation, we could not have done a better job." The bill to abolish the tax code, H.R. 4199, passed on April 13, 2000 by a vote of 229-187 (Roll Call 127). We have assigned pluses to the yeas. Vote Date: April 13, 2000 Vote: AYE Bad Vote. Television for "Underserved" Areas. As a way of providing local television to 30 million households in areas of the country that cannot receive over-the-air signals or do not have local television through a satellite provider, this bill would create a new program that would provide $1.25 billion in loan guarantees to telecommunication providers. The loans would offer a competitive edge to satellite providers since cable companies cannot apply for the loans to expand their service. The loans would be administered by the Department of Agriculture's Rural Utilities Service. Representative Christopher Cox (R-CA) in floor debate asserted that the Rural Utilities Service is "writing off billions of dollars in their existing loan portfolio left and right, at taxpayer expense, and â€¦ about 30 to 40 percent of the loans that are going to get made under this program are likely to be written off. So one can look at the cost of this program [and see that] right up front [it] is about $400 million." The bill to fund rural television, H.R. 3615, passed the House on April 13, 2000 by a vote of 375-37 (Roll Call 128). We have assigned pluses to the nays. Vote Date: April 6, 2000 Vote: AYE Bad Vote. HUD Expansion. In an effort to increase the reach of the Department of Housing and Urban Development, this bill would authorize $1.65 billion for the agency's HOME program and $4.9 billion for the Community Development Block Grant program. Both programs make money available to local governments for subsidized housing projects. Additionally, teachers, police officers, fire fighters, and other municipal workers would be given extra help and incentives for home ownership. Disabled recipients of rent-subsidies could receive grants instead of monthly allotments for down-payments. Also included in the bill is an amendment that allows religious organizations to compete for Community Development Block Grants, as long as the religious organizations comply with the mandate that they do not discriminate against participants based on religious affiliation or lack thereof. The bill, H.R. 1776, passed the House on April 6, 2000 by a vote of 417-8 (Roll Call 110). We have assigned pluses to the nays. Vote Date: April 5, 2000 Vote: AYE Good Vote. Partial Birth Abortion Ban. This bill would prohibit the "partial-birth" abortion procedure in which a baby is pulled through the birth canal in the breech position, forceps are inserted in the base of his skull, and the brain is extracted before completion of the delivery. In 1997, Ron Fitzsimmons, then executive director of the National Coalition of Abortion Providers, admitted that the procedure is performed 3,000 to 5,000 times a year, not the 500 to 600 times a year as claimed by some pro-abortion groups. Under this bill, doctors performing such abortions would be subject to a fine and up to two years in prison. The baby's father (if he is married to the mother) or a minor girl's parents also could file a civil lawsuit against the doctor for monetary damages. The procedure would be legal if the abortion were necessary to save the woman's life. The Abortion Procedure Ban, H.R. 3660, passed the House on April 5, 2000 by a vote of 287-141 (Roll Call 104). We have assigned pluses to the yeas. Vote Date: April 4, 2000 Vote: AYE Bad Vote. Organ Transplant Federalism. This amendment, according to its sponsor, Representative Bill Luther (D-MN), would prohibit "State and local laws from interfering with the allocation policies of the National Organ Transplant Network." The National Organ Transplant Network was created in 1984 by Congress as a national system for organ allocation. The amendment is an attempt to counteract laws enacted by states that have worked especially hard to encourage organ donation. These states want to make sure that their citizens benefit from that hard work instead of losing organs to states with less successful programs. Luther's Organ Procurement Amendment to H.R. 2418 was rejected by the House on April 4, 2000 by a vote of 137-284 (Roll Call 100). We have assigned pluses to the nays. Vote Date: March 30, 2000 Vote: NAY Bad Vote. DEA Funding Cuts. Representative Ron Paul (R-TX) offered this amendment to the fiscal 2000 supplemental appropriations bill. It called for a $293 million cut in Drug Enforcement Administration funding, a $186 million cut in funding for drug-fighting by the Defense Department, and another $1.1 billion cut in economic aid to Colombia. The amendment also would halt funding for military construction outside the U.S. and would end funding for military operations in Kosovo and East Timor, unless the funds were used to bring the troops home. In floor debate, Paul described his amendment as dealing with a "monster" of "careless foreign military interventionism." The Paul amendment to H.R. 3908 was rejected by the House on March 30, 2000 by a vote of 45-367 (Roll Call 92). We have assigned pluses to the yeas. Vote Date: March 30, 2000 Vote: NAY Good Vote. Money for Foreign Intervention. The fiscal 2000 supplemental appropriations bill provides $13.2 billion for a number of measures, including funding for operations in Kosovo and East Timor ($5 billion), aid to combat drugs in Colombia ($1.7 billion), and Defense Department funding ($4 billion). The fiscal 2000 supplemental appropriations measure, H.R. 3908, passed the House on March 30, 2000 by a vote of 263-146 (Roll Call 95). We have assigned pluses to the nays. Vote Date: March 23, 2000 Vote: AYE Bad Vote. 2001 Budget by Congressional Progressive Caucus. A substitute budget amendment proposed by Representative Peter DeFazio (D-OR) on behalf of the socialist coalition called the Congressional Progressive Caucus (see "Totally Radical!" in our March 29, 1999 issue for a review of this coalition) would have cut defense spending while increasing spending for education, health care, and veterans. The DeFazio substitute to House Concurrent Resolution 290 was rejected by the House on March 23, 2000 by a vote of 61-351 (Roll Call 71). We have assigned pluses to the nays. Vote Date: March 23, 2000 Vote: NAY Bad Vote. 2001 Budget by Conservative -Action Team. Representative John Sununu (R-NH) proposed this substitute budget amendment on behalf of the Conservative Action Team. This amendment would freeze non-defense discretionary spending, increase defense spending, and provide for $270 billion in tax cuts. The Sununu substitute to House Concurrent Resolution 290 was rejected by the House on March 23, 2000 by a vote of 78-339 (Roll Call 73). We have assigned pluses to the yeas. Vote Date: March 15, 2000 Vote: AYE Bad Vote. Small Business Administration Reauthorization. This legislation would reauthorize programs and funding levels for the Small Business Administration through fiscal year 2003. This corporate welfare program would be authorized to guarantee $77.3 billion in business loans (and to make direct loans) over a three-year period. The Congressional Budget Office estimates that enacting this legislation would result in $3.5 billion in new discretionary spending by 2005. The Small Business Administration reauthorization, H.R. 3843, passed the House on March 15, 2000 by a vote of 410-11 (Roll Call 49). We have assigned pluses to the nays. Vote Date: March 9, 2000 Vote: NAY Bad Vote. Tax Cuts. This tax revision bill provides for nearly $123 billion in tax cuts, including reductions in estate and gift taxes and deductions for health insurance for self-employed individuals. Also included in the bill is authorization for the Housing and Urban Development secretary to designate 15 renewal communities where investors and residents could receive certain tax breaks, including relief from capital gains taxes on property held for at least five years. The tax revision bill, H.R. 3081, passed the House on March 9, 2000 by a vote of 257-169 (Roll Call 41). We have assigned pluses to the yeas. Vote Date: March 9, 2000 Vote: AYE Bad Vote. Minimum Wage Increase. This bill raises the minimum wage by one dollar to $6.15 per hour over a period of two years. Exceptions are made for computer professionals, certain sales people, and funeral directors. Representative Tom Tancredo (R-CO) warned that, through this legislation, "we are trying to be the unseen hand in the market. We have made this assumption about the fact that we know exactly how to adjust the marketplace between the employer and employee." The minimum wage increase, H.R. 3846, passed the House on March 9, 2000 by a vote of 282-143 (Roll Call 45). We have assigned pluses to the nays. Vote Date: February 10, 2000 Vote: NAY Bad Vote. "Marriage Penalty" Tax Reform. This Republican tax cut plan would alleviate the so-called "Marriage Penalty" tax that assesses taxes at a higher rate against married couples who both work than for two single people with comparable incomes. Although opponents of the bill argued that this tax cut, amounting to $182 billion over 10 years, was too big, Representative Roy Blunt (R-MO) countered: "Should we first go to American families and say, we need to continue this unfair system because we do not have as much extra money as we thought we were going to have in - Washington?" The bill to alleviate the "Marriage Penalty" tax, H.R. 6, passed the House on February 10, 2000 by a vote of 268-158 (Roll Call 15). We have assigned pluses to the yeas. Vote Date: November 18, 1999 Vote: NAY Good Vote. Welfare State Expansion. This $385 billion monstrosity constitutes a complete sellout of conservative principles to the demands of the welfare-staters at the White House. This measure would fund five regular annual appropriations bills (District of Columbia, Labor/HHS/Education, Foreign Operations, Commerce/Justice/State/Judiciary, and Interior), often at higher levels than were originally requested by the Clinton administration. The Health and Human Services Department -- the key welfare agency of the federal government -- received an 11.4 percent increase in funding, more than Mr. Clinton originally requested. The Department of Education received a 6.8 percent increase in funding, also more than Mr. Clinton originally sought. Foreign aid spending was also funded at a higher level than originally sought by the President. President Clintonâ€™s federal teacher hiring initiative was granted $1.325 billion, the COPS program of federally paid law enforcement officers was awarded $595 million, and alleged "arrears" payments to the United Nations were authorized to the tune of $926 million. The measure, H.R. 3194, was adopted by the House on November 18, 1999 by a vote of 296-135 (Roll Call 610). We have assigned pluses to the nays. Vote Date: October 28, 1999 Vote: NAY Good Vote. Labor/HHS/Education Spending. This $317 billion appropriations bill is the main funding measure for the federal welfare state during fiscal 2000. This bill would amount to an increase over the bloated fiscal 1999 appropriation of nearly nine percent. This increase still wasn't enough for President Clinton; some of his Democratic supporters joined stalwart opponents of the welfare state in voting against the bill. This legislation, H.R. 3064, passed the House on October 28, 1999 by a vote of 218-211 (Roll Call 549). We have assigned pluses to the nays. Vote Date: October 21, 1999 Vote: NAY Good Vote. New Federal Education Subsidy. Republican Majority Leader Richard Armey, the author of this proposal, had to ignore one of his own "axioms" in order to introduce this measure: "No one spends someone else's money as wisely as he spends his own." Armey's proposal would establish a new $100 million per year federally funded grant program administered by the states for educational choice scholarships. The program would last five years and give parents of primary grade school children $3,500 toward placing their children in the public or private school of their choice -- but only if the governor of the state declared their public school an "academic emergency" through a series of criteria laid out in Armey's amendment. The states would also have to report to the Secretary of Education on the progress of the federal scholarships that they distribute under their political control. The measure, an amendment to H.R. 2, was rejected by the House on October 21, 1999 by a vote of 166-257 (Roll Call 521). We have assigned pluses to the nays. Vote Date: October 21, 1999 Vote: AYE Bad Vote. Federal Education Grants. This legislation would fund Title I spending -- which dispenses grants to primary and secondary schools -- to the tune of $9.9 billion. This represents a 28 percent increase over fiscal 1999! Representative Ron Paul (R-TX) explained that, "like most federal programs, Title I was launched with the best of intentions, however, good intentions are no excuse for Congress to exceed its constitutional limitations by depriving parents, local communities and states of their rightful authority over education. The Tenth Amendment does not contain an exception for 'good intentions'!" The bill, H.R. 2, passed the House on October 21, 1999 by a vote of 358-67 (Roll Call 526). We have assigned pluses to the nays. Vote Date: October 7, 1999 Vote: AYE Bad Vote. Managed Health Care Regulations. This legislation would get the federal government even more deeply involved in regulating the medical coverage of individuals and HMOs. The bill would require HMOs to pay for certain emergency care even if it was not part of the original insurance agreement, dictate an internal and external appeal process for health coverage payments, require HMOs and insurance companies to pay for women's visits to gynecological and obstetric specialists without first seeing a primary care physician, and even unconstitutionally give policyholders standing in state courts to sue for damages. While a few of these ideas are good ones that many HMOs have already implemented through the free market, none of them are federal functions. Representative Ron Paul (R-TX) explained: "Because HMOs make mistakes and their budgets are limited, however, doesn't justify introducing the notion that politicians are better able to make these decisions than the HMOs. Forcing HMOs and insurance companies to do as the politicians say regardless of the insurance policy agreed upon will lead to higher costs, less availability of services and calls for another round of government intervention." The bill, H.R. 2723, was adopted by the House on October 7, 1999 by a vote of 275-151 (Roll Call 490). We have assigned pluses to the nays. Vote Date: October 1, 1999 Vote: AYE Bad Vote. Agricultural Appropriations. This measure would appropriate $69 billion for agricultural programs, food stamps, and foreign aid programs for fiscal year 2000. The legislation represents an irresponsible 11 percent increase in spending over fiscal 1999. The final version of the agricultural appropriations bill, H.R. 1906, passed the House on October 1, 1999 by a vote of 240-175 (Roll Call 469). We have assigned pluses to the nays. Vote Date: September 14, 1999 Vote: NAY Bad Vote. Doolittle Campaign Finance. Representative John Doolittle (R-CA) took aim at campaign finance reform with a proposal to repeal all federal campaign contribution limits and require immediate public disclosure of all federal campaign contributions. "I support the Doolittle reforms," explained Representative John Peterson (R-PA), "because they are in the American tradition. They truly 'do little' when it comes to restricting First Amendment rights. They remove restrictions on most campaign giving and spending, and thus remove the restrictions to free speech. At the same time, they require immediate and full reporting of all contributions." Rep. Doolittle's proposal, a substitute amendment to the Shays-Meehan "reform" bill (see text below), was rejected by the House on September 14, 1999 by a vote of 117-306 (Roll Call 419). We have assigned pluses to the yeas. Vote Date: September 14, 1999 Vote: AYE Bad Vote. Shays-Meehan "Reform." This legislation makes war upon the First Amendment's free speech protections by proposing regulation of non-political, issue advocacy speech. In particular, provisions which greatly expand the definitions of "expressed advocacy" and "coordinated activity" would take in just about every citizen group attempting to educate the electorate on the voting record of their government officials. Representative John Peterson (R-PA) explained that Shays-Meehan represents the "liberal's idea of reform [which] rests primarily on restricting the free flow of moneys and ideas to the public through any channels except those they control and they regulate.... It will be an incumbent protection bill." The Shays-Meehan campaign reform bill, H.R. 417, was adopted by the House on September 14, 1999 by a vote of 252-177 (Roll Call 422). We have assigned pluses to the nays. Vote Date: September 9, 1999 Vote: AYE Good Vote. Clemency for the FALN. Following the President's grant of clemency to convicted terrorists of the Puerto Rican FALN, Congress considered a concurrent resolution which would express its disapproval with the Clinton administration's decision. The 16 terrorists offered clemency had been convicted of "seditious conspiracy," robbery, and weapons charges related to their masterminding a series of terrorist bombings in the 1970s and 1980s. President Clinton offered clemency to the convicted terrorists at a time when his wife Hillary was actively considering a Senate race in New York State. Many political observers guessed that the move was made in part to sway New York's large Puerto Rican ethnic voting block to support his wife's impending campaign. The concurrent resolution, H. Con. Res. 180, was adopted by the House on September 9, 1999 by a vote of 311-41 (Roll Call 398). We have assigned pluses to the yeas. Vote Date: August 5, 1999 Vote: NAY Bad Vote. Republican Tax Cut Package. The Republican tax plan would implement several tax cuts over a 10-year period. The legislation would cut the income tax rate by one percent beginning in 2005, but the tax cut would sunset by 2009. The measure would also cut the capital gains rate immediately by two percentage points, eliminate the marriage penalty under income taxes (starting in 2001), and phase out estate taxes until 2009 (after which the tax would be higher than current law). The Republican Party trumpeted this bill as being a $792 billion tax cut, and the White House lobbied furiously against it claiming that the cuts were irresponsible. But the $792 billion figure is mere political posturing, since it is not only the projected total for a 10-year period but is based on projected costs in future years. Nevertheless, the bill was better than no tax cut at all and was deserving of support. The Republican Tax Cut, H.R. 2488, passed the House on August 5, 1999 by a vote of 221-206 (Roll Call 379). We have assigned pluses to the yeas. Vote Date: August 3, 1999 Vote: NAY Bad Vote. International Population Control. Contained within this year's foreign aid appropriations bill are some $385 million intended to fund international population control programs. Representative Ron Paul (R-TX) proposed to eliminate this spending, explaining that "the question really is this: Should the American taxpayer be required to pay for birth control pills, IUDs, Depo-Provera, Norplant, condom distribution, as well as abortion in foreign countries?" Rep. Paul's proposal, an amendment to H.R. 2606, was rejected by the House on August 3, 1999 by a vote of 145-272 (Roll Call 360). We have assigned pluses to the yeas. Corporate Welfare. A measure proposed by Representative Ron Paul (R-TX) would prohibit federal funding of three corporate export subsidy programs: The Export-Import Bank, the Overseas Private Investment Corporation, and the Trade and Development Agency. The Export-Import Bank alone has approximately $6 billion in outstanding subsidies sunk into Communist China, and Rep. Paul noted that "67 percent of all the funding of the Export-Import Bank goes to, not a large number of companies, [but] to five companies.... We give them the money. But where do the goods go? Do the goods go to the American taxpayers? No. They get all of the liabilities. The subsidies help the Chinese." Hypocritically, several representatives who had supported Normal Trade Relations (MFN) for China (Vote #26) on the basis of "free trade" opposed the Paul amendment. To that opposition, Paul exclaimed, "please do not call it free trade anymore. Call it managed trade. Call it subsidized trade. Call it special interest trade." Rep. Paul's proposal, an amendment to H.R. 2606, was rejected by the House on August 3, 1999 by a vote of 58-360 (Roll Call 361). We have assigned pluses to the yeas. Vote Date: August 3, 1999 Vote: AYE Bad Vote. Foreign Aid Appropriations. This legislation would appropriate $12.7 billion during fiscal 2000 for wasteful and unconstitutional foreign aid programs abroad. The foreign aid appropriations bill, H.R. 2606, passed the House on August 3, 1999 by a vote of 385-35 (Roll Call 362). We have assigned pluses to the nays. Vote Date: July 29, 1999 Vote: NAY Bad Vote. Slight Foreign Aid Cut. Proposed by Representative Tom Campbell (R-CA), this measure would cut a paltry $50 million from the foreign aid budget reserved for Israel (a $30 million cut) and Egypt (a $20 million cut). The cut would be a total reduction of about 1 percent in the funds allotted to both nations under the foreign aid bill. Any real end to wasteful foreign aid giveaways must begin with cuts in aid to the largest recipients, and Egypt and Israel's combined $4.7 billion in economic and military assistance account for 37 percent of all U.S. foreign aid spending. 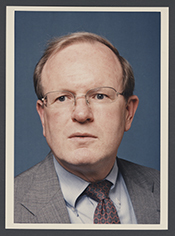 Rep. Campbell's proposal, an amendment to the foreign aid bill (H.R. 2606), was rejected by the House on July 29, 1999 by a vote of 13-414 (Roll Call 351). We have assigned pluses to the yeas. Vote Date: July 27, 1999 Vote: NAY Bad Vote. MFN/NTR Trade with Red China. Representative Dana Rohrabacher (R-CA) proposed that Congress express its disapproval of President Clinton's waiver granting Communist China U.S. taxpayer subsidized trade under "Normal Trade Relations" (formerly "Most Favored Nation") status. Revocation of NTR status would impose tariffs on Chinese imports at a slightly higher duty than are levied upon U.S. exports to China, and prevent the U.S. Export-Import Bank and similar agencies from giving lucrative subsidies to China. China is currently the Ex-Im Bank's largest customer, with $6 billion in outstanding loans and guarantees. Rep. Rohrabacher observed that the reason Capitol Hill had just been besieged by big business lobbyists is because they are squealing to keep their taxpayer subsidies. "This debate is not about free trade," Rohrabacher explained. "Obviously, it is about subsidy, as I just said." Rep. Rohrabacher's proposal, a resolution (H. J. Res. 57) expressing the disapproval of Congress of the President's waiver granting NTR/MFN to China, was rejected by the House on July 27, 1999 by a vote of 170-260 (Roll Call 338). We have assigned pluses to the yeas. Vote Date: July 20, 1999 Vote: NAY Bad Vote. De-funding the United Nations. Representative Ron Paul (R-TX), proposed a measure that would eliminate all funding for the United Nations from the State Department Reauthorization bill, H.R. 2415. Rep. Paul explained that "this does not get us out of the United Nations. It is a step in that direction, obviously." A necessary step because this year alone the the United Nations has called for confiscation of nearly all civilian-owned firearms, global taxation without representation, a world central bank, world financial controls with a redistributive mechanism, an unlimited ability to intervene in a nation's internal affairs, and a global criminal court without the habeas corpus guarantee and other rights Americans are accustomed to in our courts. Rep. Paul's proposal, an amendment to H.R. 2415, was rejected by the House on July 20, 1999 by a vote of 74-342 (Roll Call 314). We have assigned pluses to the yeas. Vote Date: July 20, 1999 Vote: AYE Bad Vote. Federal Funding for Teachers. In deliberations on this year's $2 billion per year federal teacher hiring grants program, Representative Matthew Martinez (D-CA) proposed to increase funding for President Clinton's initiative to hire 100,000 new teachers using federal dollars. The Martinez measure would increase spending under the pending bill in fiscal 2000 to $3 billion, and continue increasing spending until it reaches $6 billion annually in 2005. Rep. Martinez's proposal, a substitute for H.R. 1995, was rejected by the House on July 20, 1999 by a vote of 207-217 (Roll Call 319). We have assigned pluses to the nays. Vote Date: July 15, 1999 Vote: AYE Bad Vote. Subsidizing Abortions. Representative Rosa DeLauro (D-CT) proposed a measure that would allow abortions to be included as medical expenses in the health care coverage the federal government subsidizes for its employees. Representative Curt Weldon (R-PA), opposing DeLauro's proposal, explained that "the unborn baby in the womb is not a potential life. It meets all of the criteria of a life, the criteria that I used to use as a practicing physician to determine whether somebody is alive or dead: a beating heart, active brain waves." Rep. DeLauro's proposal, an amendment to H.R. 2490, was rejected by the House on July 15, 1999 by a vote of 188-230 (Roll Call 301). We have assigned pluses to nays. Vote Date: July 14, 1999 Vote: NAY Bad Vote. National Endowment for the Arts. The National Endowment for the Arts currently consumes some 98 million taxpayer dollars annually. A measure proposed by Representative Cliff Stearns (R-FL) would take a small, 2.5 percent bite totaling $2.1 million out of that budget. Rep. Stearns noted that the Founding Fathers did not give the federal government the power under the U.S. Constitution to fund arts programs. "During the Constitutional Convention, Charles Pinckney of South Carolina offered a motion to authorize and 'establish seminaries for the promotion of literature and the arts and sciences.' The motion was overwhelmingly defeated because the framers of our Constitution did not want the federal government to promote the arts with federal funds." Rep. Stearns measure, an amendment to H.R. 2466, was rejected by the House on July 14, 1999 by a vote of 124-300 (Roll Call 287). We have assigned pluses to the yeas. Vote Date: June 24, 1999 Vote: AYE Good Vote. Civil Forfeiture Reform. Under "civil forfeiture," the government seizes property which officials believe is used in the commission of a crime, oftentimes without the property owner being charged with a crime. Existing federal civil forfeiture law makes clear that property owners must bear the burden of proof that their property was not used in the commission of a crime. A measure, introduced by Representative Henry Hyde (R-IL), would curb excesses in federal civil forfeiture takings of property. The Hyde legislation would reverse the burden of proof and require of the government "clear and convincing evidence" that the property was used in the commission of a crime. It also contains an "innocent owner defense" for property owners who were unaware that their property was being used in the commission of crimes. Rep. Hyde's measure, H.R. 1658, passed the House on June 24, 1999 by a vote of 375-48 (Roll Call 255). We have assigned pluses to the yeas. Vote Date: June 24, 1999 Vote: NAY Good Vote. Flag Burning Amendment, House Joint Resolution 33. This measure proposes an amendment to the Constitution stating that "the Congress shall have power to prohibit the physical desecration of the flag of the United States." Representative Charles Canady (R-FL) argued that such an amendment is needed "because the Supreme Court, in its mistaken interpretation of the First Amendment, stripped our flag of the protection to which it is entitled." He is mistaken, however. If Congress truly wishes to rein in the Supreme Court with regard to flag burning and myriad other issues, it can simply exercise its constitutional power to limit the Court's appellate jurisdiction (Article III, Section 2). The House adopted this measure on June 24, 1999 by a vote of 305 to 124 (Congressional Record, pages H4843-44, roll call 252; we have assigned pluses to the nays). Vote Date: June 18, 1999 Vote: NONE No Vote. Gun Control, H.R. 2122. This legislation would clamp down on gun sales at gun shows, which for the purposes of this bill are defined as any event "at which 50 or more firearms are offered or exhibited for sale, transfer, or exchange" or at which there are ten or more vendors. Under this bill, a person offering a firearm for sale who is not himself licensed is prevented from selling that firearm directly to the buyer. The licensed vendor must complete a background check before the transfer of the weapon. The House rejected the measure on June 18, 1999 by a vote of 147 to 280 (Congressional Record, pages H4656-57, roll call 244; we have assigned pluses to the nays). Vote Date: June 17, 1999 Vote: NAY Bad Vote. Freedom of Religion, Amendment to H.R. 1501. The ACLU and similar groups have long crusaded to force the removal of all aspects of religious expression from public grounds under the pretense that such expression violates the First Amendment. This amendment to H.R. 1501, offered by Representative Robert Aderholt (R-AL), takes issue with that notion. The amendment states that "the power to display the Ten Commandments" on public property is "declared to be among the powers reserved to the states...." It also declares that individual religious expression on public grounds is "among the rights secured against laws respecting an establishment of religion or prohibiting the free exercise of religion" and "among the liberties which no state shall deprive any person without due process of law...." Moreover: "The courts constituted, ordained, and established by the Congress shall exercise the judicial power in a manner consistent with the foregoing declarations." The House adopted the amendment on June 17, 1999 by a vote of 248 to 180 (Congressional Record, pages H4486-87, roll call 221; we have assigned pluses to the yeas). Vote Date: June 9, 1999 Vote: AYE Good Vote. No Military Exchanges or Joint Training With the Red Chinese Army, Amendment to H.R. 1401. Representative Tom DeLay (R-TX) offered this amendment to the Defense authorization bill to "bar the United States from training the Communist Chinese military." Stressing the need for such a measure, DeLay noted that "President Clinton jump-started American cooperation with the PLA [People's Liberation Army] soon after taking office in 1993. The imbalance in these so-called exchanges is extreme and predictably benefits the PRC [People's Republic of China]." These exchanges have not tapered off since the Chinese nuclear espionage revelations. "Just this year," continued DeLay, "more than 80 cooperative military contacts were planned between the U.S. and Red China." The House adopted the amendment on June 9, 1999 by a vote of 284 to 143 (Congressional Record, page H3995, roll call 182; we have assigned pluses to the yeas). Vote Date: June 9, 1999 Vote: AYE Bad Vote. Permitting Abortions in Military Hospitals Overseas, Amendment to H.R. 1401. Representative Carrie Meek (D-FL) offered this amendment to repeal "the statutory prohibition on privately funded abortions in overseas military facilities...." However, those overseas facilities are taxpayer funded. If abortions are allowed there, those facilities would become, noted Representative Henry Hyde (R-IL), "not a place for healing, but an abortion mill, an abortion clinic." The House rejected the amendment on June 9, 1999 by a vote of 203 to 225 (Congressional Record, page H3996, roll call 184; we have assigned pluses to the nays). Vote Date: June 8, 1999 Vote: NAY Bad Vote. Preventing Funding for Development of Any Abortion Inducing Drug, Amendment to H.R. 1906. Representative Tom Coburn (R-OK) offered this amendment to prohibit any funds in the fiscal 2000 Department of Agriculture appropriations bill from being used "by the Food and Drug Administration for the testing, development, or approval ... of any drug for the chemical inducement of abortion." The House adopted the amendment on June 8, 1999 by a vote of 217 to 214 (Congressional Record, pages H3811-12, roll call 173; we have assigned pluses to the yeas). Vote Date: June 8, 1999 Vote: NAY Good Vote. Agricultural Appropriations, H.R. 1906. This legislation provides $60.7 billion for "Agriculture, Rural Development, Food and Drug Administration, and Related Agencies" for fiscal year 2000, a $3.4 billion increase over fiscal 1999. The measure includes $21.6 billion for the food stamp program, $20.1 billion for agricultural programs, $4 billion for the Special Supplemental Nutrition Program for Women, Infants, and Children (WIC), $165.4 million for the "Food for Peace" foreign aid program, and $583.4 million for rental assistance. The House adopted the measure on June 8, 1999 by a vote of 246 to 183 (Congressional Record, page H3823, roll call 177; we have assigned pluses to the nays). Vote Date: May 6, 1999 Vote: NAY Bad Vote. Preventing U.S. Invasion of Yugoslavia, Amendment to H.R. 1664. Representative Ernest Istook (R-OK) offered this amendment to the Defense supplemental appropriations bill to prohibit the use of any funds authorized therein for "any plan to invade the Federal Republic of Yugoslavia with ground forces of the United States, except in time of war." Representative Cliff Stearns (R-FL) objected to the amendment on the grounds that it was similar to H.R. 1569, and therefore unnecessary. "They are very, very similar," said Stearns. "Do members think they have to make another stand...?" Representative Ron Paul (R-TX) argued otherwise: "It was said that this is the same vote that we had last week, but last week's vote is sitting on the table and it is going to sit there. This one may well go someplace and have an effect." The House rejected the amendment on May 6, 1999 by a vote of 117 to 301 (Congressional Record, pages H2891-92, roll call 119; we have assigned pluses to the yeas). Vote Date: April 28, 1999 Vote: NAY Bad Vote. Prohibit Funding of Ground Troops In Kosovo, H.R. 1569. This legislation would prohibit funding of U.S. ground forces in Yugoslavia without prior congressional authorization. At the time of this vote, U.S. forces were already engaged in the air war against Yugoslavia -- without prior congressional authorization. The House adopted the measure on April 28, 1999 by a vote of 249 to 180 (Congressional Record, pages H2413-14, roll call 100; we have assigned pluses to the yeas). Removal of U.S. Troops From the Kosovo Conflict, House Concurrent Resolution 82. This measure would direct the removal of the U.S. military from the conflict in Yugoslavia, ending our offensive operations against that nation. Representative Ron Paul (R-TX) noted: "The Serbs have done nothing to us, and we should not be over there perpetuating a war." The House rejected the measure (thereby acquiescing to President Clinton's offensive against Yugoslavia while later hypocritically voting against a declaration of war) on April 28, 1999 by a vote of 139 to 290 (Congressional Record, page H2427, roll call 101; we have assigned pluses to the yeas). Vote Date: April 28, 1999 Vote: AYE Bad Vote. Authorizing Air Operations for the Kosovo Conflict, Senate Concurrent Resolution 21. This legislation would authorize continuing offensive air operations and missile attacks against Yugoslavia. Representative Dennis Kucinich (D-OH) said that "it should be obvious that the President does not need this resolution to use air power because he is already using it" -- an observation that speaks volumes about the failure of Congress to assert its authority by insisting on the removal of U.S. forces. The House rejected the resolution on April 28, 1999 by a vote of 213 to 213 (Congressional Record, pages H2451-52, roll call 103; we have assigned pluses to the nays). Vote Date: March 24, 1999 Vote: AYE Bad Vote. Increasing Foreign Aid Expenditures, Amendment to H.R. 1141. Representative David Obey (D-WI) offered this amendment to the fiscal 1999 supplemental appropriations bill to reinstate a smorgasbord of foreign aid appropriations that the bill would rescind in order to offset new spending. The Obey amendment would restore $853 million in spending, including: $648 million for multilateral development banks (like the World Bank); $150 million to purchase fissile materials (plutonium) from Russia to keep the Russians from building nuclear weapons; $30 million for the "Food for Peace" program; and $25 million for the Export-Import Bank. The House rejected the amendment on March 24, 1999 by a vote of 201 to 228 (Congressional Record, pages H1644-45, roll call 68; we have assigned pluses to the nays). Vote Date: March 18, 1999 Vote: NAY Bad Vote. Deployment of a National Missile Defense, H.R. 4. This bill would make it "the policy of the United States to deploy a national missile defense." Representative John Lewis (D-GA) objected to the measure, declaring: "Make no mistake, a dollar more for missile defense is a dollar less for health care, for education, and for food.... I urge my colleagues, do not choose bullets over babies, bombs over books, missiles over medicine." But there was support from the minority party for the measure. Democratic Representative James Traficant (OH) said, "National defense and security is our number-one priority.... I am changing my vote. I am voting for the missile defense system for the United States of America." The House adopted the measure on March 18, 1999 by a vote of 317 to 105 (Congressional Record, pages H1447-48, roll call 59; we have assigned pluses to the yeas). Vote Date: March 11, 1999 Vote: AYE Bad Vote. Authorizing U.S. Peacekeeping in Kosovo, House Concurrent Resolution 42. This bill would authorize the President to "deploy United States Armed Forces personnel to Kosovo as part of a NATO peacekeeping operation implementing a Kosovo peace agreement." Representative Tom Campbell (R-CA), who opposed the measure, noted: "the United States has not been attacked. Serbia, in whose sovereign territory we recognize Kosovo to be, has not invited us to enter. The United States would thus be exercising force against the sovereign territory of a country that has not attacked us...." The House adopted the measure on March 11, 1999 by a vote of 219 to 191 (Congressional Record, pages H1249-50, roll call 49; we have assigned pluses to the nays). Vote Date: March 3, 1999 Vote: AYE Bad Vote. Peace Corps Authorization and Expansion, H.R. 669. This bill would authorize $1.3 billion for the Peace Corps through fiscal 2003 -- including $270 million in fiscal 2000, an increase of $29 million over the current level. The new funding would allow for an expansion in the number of Peace Corps volunteers from the current level of 6,700 to 10,000 by 2003. The House passed the bill on March 3, 1999 by a vote of 326 to 90 (Congressional Record, page H913, roll call 31; we have assigned pluses to the nays). Vote Date: February 23, 1999 Vote: AYE Bad Vote. Designating the Sudbury, Assabet, and Concord as Wild and Scenic Rivers, H.R. 193. This bill would designate a combined total of 29 miles of three rivers in Massachusetts as Wild and Scenic under the Wild and Scenic Rivers Act of 1968. Although the bill would prevent the federal government from actually acquiring title or easements for any of the land adjacent to the sections of river in question, through a loophole the government could still acquire such land or easements "under other laws for other purposes." The House passed the bill on February 23, 1999 by a vote of 395 to 22 (Congressional Record, page H679, roll call 23; we have assigned pluses to the nays).